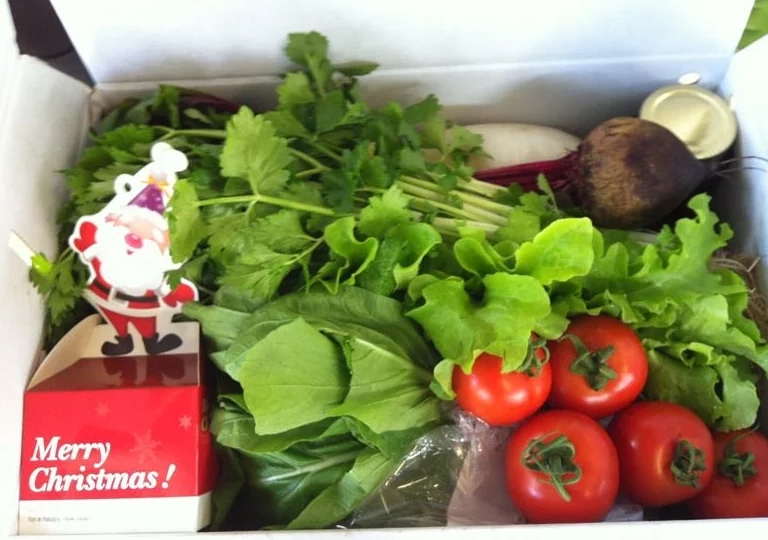 Organic Farm Christmas hamper: order online now! 5 catty of seasonal crops which may include in various combinations: Lettuce, Choi Sum, Kale, Broccoli, Green Papaya, Beet Root, cactus soup package, herb cookies (150g) and Organic Apple Cider Vinegar (473 ml). Hamper will be delivered on 18/12( Monday) or 21/12 (Thursday), please state the delivery date when placing an order. The Farm is situated in adjacent to the Tai Lam Country Park and at downstream of the Ho Pui Reservoir, the altitude of 250 meters. HKFYG Organic Farm is one of the very few organic farmland growing organic crops with plenty of supplies from the nature. The farm is at highland where fresh air, clean and natural quality water which ensure the purity and nutrition of vegetables. The optimal sunshine and temperature difference between day-and-night in the farm provide perfect cultivation environment for crops. The farm is proudly certified by USDA. It gives confidence and quality assurance of the output.